Home→Academia→Do not link to impact factors, they will censor you! Do not link to impact factors, they will censor you! On July 20 2017, I received an e-mail from a company called Clarivate Analytics Trademark Enforcement ( legal@ip-clarivateanalytics.com ) about copyright infringement for the Journal Citation Reports, a product by Thomson Reuters. So what is the problem with this webpage? Well, the company did not like that I linked to two websites called SCIJ***nal.org and bioxb…com that provide the impact factors of journals, which is a very useful information for researchers. They asked me to remove these two links as these websites apparently contain copyrighted data (the impact factors). It should be clear that I do not host this data on my website, and I do not own these two websites either. Thus I am not responsible for their content. However, I have still decided to censor the links as you can see above, although I probably do not have to since linking to a website is generally not considered copyright infridgment. So what does this tells us about Thomson Reuters? I think that they would expect every researcher to pay to access the impact factors. But not all universities have the funding to pay to access this data, which is very inconvenient for young researchers or people working in small universities or less developed countries. To avoid such problems, I think that as researchers, we should try to move away from impact factors provided by a company. 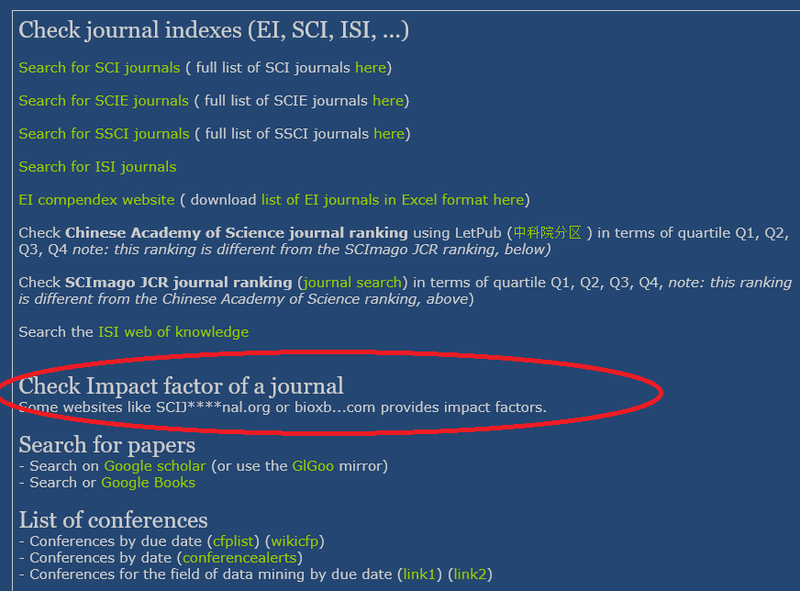 An impact factor is basically just calculated using some simple math formula using data provided by journals. There should be a way to have alternatives to these impact factors that are not calculated or owned by a company. Besides, can they really expect to censor links to these two websites all over the Internet? In the past, many people have failed to do this, and this has backfired. For example, there is the well known Streisand effect where the fact of trying to hide something makes it even more popular. This is all I wanted to write for today. Just wanted to share this story. By the way, all the names mentioned in this blog posts belong to the respective companies. 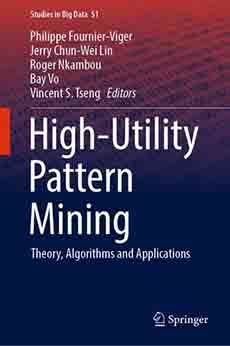 Big Problems only found in Big Data? MLDM 2019… still not in New York! What I don't like about academia - The Data Mining Blog on How to give a good oral presentation at an academic conference?